Dimethyl Fumarate is an Nrf2 activator. It is the active ingredient in Tecfidera, which is a drug designed to treat Multiple Sclerosis. As such, it has gone through rigorous testing to make sure it is safe for people to use. 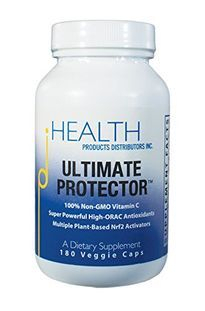 As an Nrf2 activator, it makes the body heal itself. Drug Des Devel Ther. 2014 Jul 7;8:897-908. doi: 10.2147/DDDT.S50962. eCollection 2014. Design of oral agents for the management of multiple sclerosis: benefit and risk assessment for dimethyl fumarate. Dimethyl fumarate (DMF) is the most recent oral disease-modifying therapy approved by the US Food and Drug Administration and is indicated for the treatment of relapsing forms of multiple sclerosis (MS). Prior to approval for use in MS, DMF and its active metabolite, monomethyl fumarate, had been used for decades as two of the fumaric acid esters in Fumaderm, a medication used in Europe for the treatment of psoriasis. The unique mechanism of action of DMF remains under evaluation; however, it has been shown to act through multiple pathways leading to shifts away from the Th1 proinflammatory response to the less inflammatory Th2 response. Preliminary data suggest that DMF may induce neuroprotective effects in central nervous system white matter, although further studies are needed to demonstrate these effects on inflammatory demyelination. The DMF Phase III clinical trials demonstrated its efficacy with regard to a reduction in the annualized relapse rate and reductions in new or enlarging T2 lesions and numbers of gadolinium-enhancing lesions on magnetic resonance imaging. DMF has a well-defined safety profile, given the experience with its use in the treatment of psoriasis, and more recently from the DMF clinical trials program and post-marketing era for treatment of MS. The safety profile and oral mode of administration of DMF place it as an attractive first-line therapy option for the treatment of relapsing forms of MS. Long-term observational studies will be needed to determine the effects of DMF on progression of disability in MS.
J Pharmacol Exp Ther. 2012 Apr;341(1):274-84. doi: 10.1124/jpet.111.190132. Epub 2012 Jan 20. Fumarates promote cytoprotection of central nervous system cells against oxidative stress via the nuclear factor (erythroid-derived 2)-like 2 pathway. Oxidative stress is central to the pathology of several neurodegenerative diseases, including multiple sclerosis, and therapeutics designed to enhance antioxidant potential could have clinical value. The objective of this study was to characterize the potential direct neuroprotective effects of dimethyl fumarate (DMF) and its primary metabolite monomethyl fumarate (MMF) on cellular resistance to oxidative damage in primary cultures of central nervous system (CNS) cells and further explore the dependence and function of the nuclear factor (erythroid-derived 2)-like 2 (Nrf2) pathway in this process. Treatment of animals or primary cultures of CNS cells with DMF or MMF resulted in increased nuclear levels of active Nrf2, with subsequent up-regulation of canonical antioxidant target genes. DMF-dependent up-regulation of antioxidant genes in vivo was lost in mice lacking Nrf2 [Nrf2(-/-)]. DMF or MMF treatment increased cellular redox potential, glutathione, ATP levels, and mitochondrial membrane potential in a concentration-dependent manner. Treating astrocytes or neurons with DMF or MMF also significantly improved cell viability after toxic oxidative challenge in a concentration-dependent manner. This effect on viability was lost in cells that had eliminated or reduced Nrf2. These data suggest that DMF and MMF are cytoprotective for neurons and astrocytes against oxidative stress-induced cellular injury and loss, potentially via up-regulation of an Nrf2-dependent antioxidant response. These data also suggest DMF and MMF may function through improving mitochondrial function. The clinical utility of DMF in multiple sclerosis is being explored through phase III trials with BG-12, which is an oral therapeutic containing DMF as the active ingredient.